I read this article and found it very interesting, thought it might be something for you. The article is called How to export file .FIT: latest news by MagneticDays and is located at https://www.magneticdays.com/en/news-en/export-file-fit-magneticdays/. YOU CAN NOT import file .FIT done made by Garmin or similar. Don’t worry! 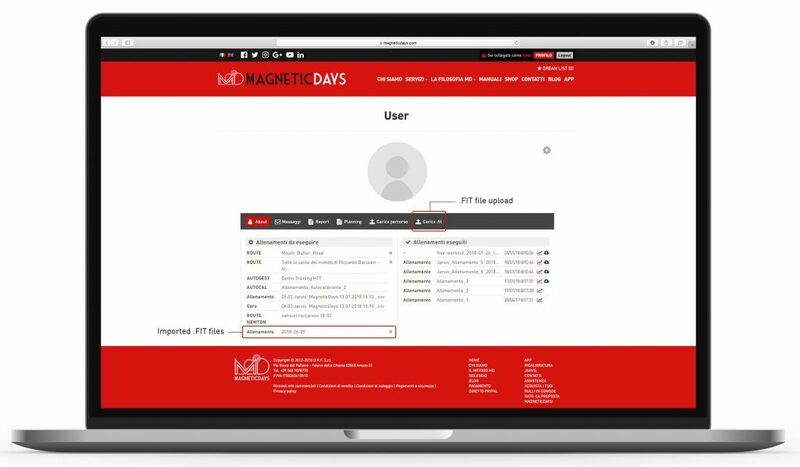 You can ride on MagneticDays your favorite routes – using the button named UPLOAD FILE – where you can import .TCX or .GPX files.